Cover Versions, Hard-to-find, Kraut-y, New! Now! So the new Primal Scream album’s here and before a note had been heard, the knives in this house were already being sharpened. From the rubbish cover that looks as if the work experience boy was given a generic shot of Bobby and 10 minutes with a laptop, to the list of cliches masquerading as song titles on the back – River Of Pain, Culturecide, Tenement Kid, Invisible City, Goodbye Johnny, Elimination Blues – I had this album down as a stinker, another one of those disappointing albums the Scream have been turning out with increasingly diminishing returns since the high watermark of the double decade-old Screamadelica. It’s not all bad. In fact, some of it’s pretty good. And bits of it are really very good indeed. Opener (and lead single) 2013 seems to have split opinion amongst the critics, and at 9 minutes long, it’s not perfect radio fodder, but I like it. Bobby’s clearly determined to write an era-defining chronological anthem (think Stooges 1969, or Stooges 1970 come to that, or 1977 by The Clash). It reminds me of golden-age Psychedelic Furs, if they ever actually had a golden age, replete with a rasping saxophone line not heard since The Waterboys‘ A Girl Called Johnny. Very similar, Bobby. Very similar indeed. Elsewhere, vocals are whispered where previously they were mangled into that accent that was more yer actual Florida then Mount Florida. Acoustic guitars flutter against a backdrop of We Love You-era Stones psychedelia. Keyboard swells and electro bloopery compete with Zeppelin drums and turned-up-to-11 Les Pauls through Marshall stacks. Textured. That’s the word I’m looking for. More Light is a textured album. A textured album that’s about 4 tracks too long, but never mind. Is it obtuse of me to say that, for me, the best tracks are the bonus tracks? They’re certainly the most interesting by far. Nothing Is Real/Nothing Is Unreal (above) is terrific – a proper motorik, Krauty groover that really benefits from David Holmes’ polished sheen. 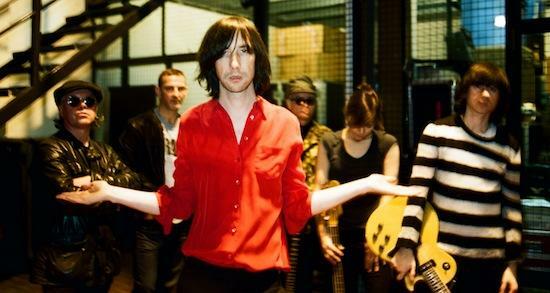 If the whole album was like this, we may be saying it’s the best Primal Scream album since Screamadelica. Actually, the publicity surrounding the album would have you believe that, but this track is truly wonderful. For Record Shop/Store Day this year, Primal Scream brought out a 12″ of them doing Sonic’s Rendezvous Band‘s City Slang. 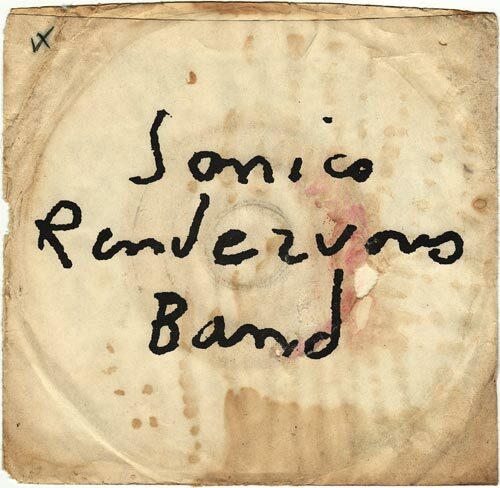 Sonic’s Rendezvous Band was a mid 70s alt-supergroup, formed by Fred ‘Sonic’ Smith of the MC5 and featuring Scott ‘Stooges’ Asheton amongst other garage band no-hit wonders. City Slang is a pretty intense piece of proto-punk, full of elastic band bass, cheesegrater-thin guitar solos and a stu-stu-stuttering chorus, a testifyin’ punk rock call to arms. Heard once, never forgotten. Heard for the first time, it’s one you’ll want to play again and again. Just as well the original 7″ has the same song on both sides – wear out one set of grooves and you’ve still got another to batter the hell out of. That SRB had only one track was neither here nor there, City Slang remains something of a masterpiece. It also happens to be one of Alan McGee’s favourite records, as he told Plain Or Pan a year or so ago. Best ever punk rock single, as he so succinctly put it. You can read more about Alan McGee’s favourite records (something of a Plain Or Pan scoop at the time, though you wouldn’t know from reading it) here. Anyway, Primal Scream’s version is a faithful-to-the-original, full-on heads down punk rocker. For men pushing 50 and more, this is either admirable or rather sad. I’ll let you be the judge on that one. Like you i was all ready to dismiss this as shite. I was surprised when I listened that it wasn’t as bad as I thought it was going to be, in fact a couple of the tracks were actually quite good but I think that this is due to the fact that the last one was a complete stinker. Whether this album can stand up to repeated plays I sadly don’t think that I will find out as there are better, more original records demanding my attention at the moment. I think that this will be played once more then filed next to the rest of the Primal Scream records and forgotten about. Gillispie’s vocals are really beginning to get on my nerves, that mid-Atlantic accent really grates. Its not a stinker by any means- some of the songs are good (especially the one that breaks down after 4 mins with strings, can’t remember its name) and the sound is good throughout, which I’m putting down to David Holmes knob twiddling. The extra songs are in some ways better though- more varied. Can’t see why they didn’t put these out as a standalone ep rather than a bonus disc afterthought. My main gripe with it is there’s just way to much of it- the songs are too long and there’s too many of them- guess it supposed to be a ‘sprawling double album’ but its just unwieldy to me. I’ll have to play it more though- I’ve only listened to it all the way through twice. Finally- the lyrics are on the whole complete shite.